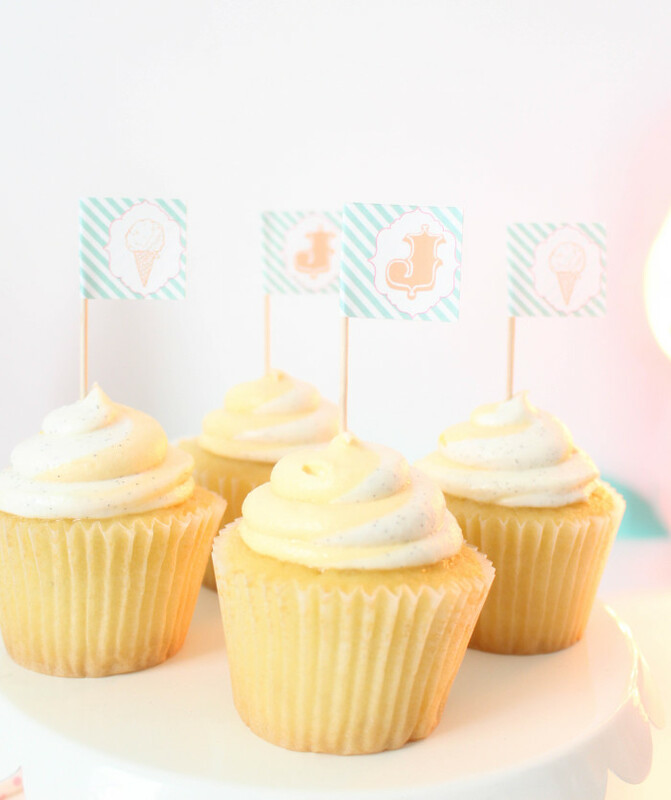 You know we’re obsessed with cake and cupcake toppers up in here! 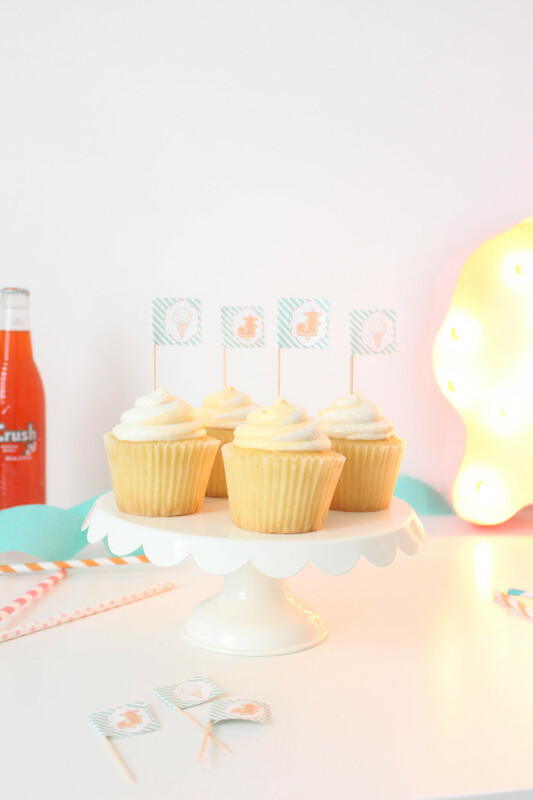 But this might just be one of my very favorite DIY toppers yet. Because IT’S SO EASY your child could do it. Ok, that’s probably offensive cus you have adorably genius children right? Well these toppers are so easy the least crafty person you know mixed with your favorite inanimate object mixed with your man could do it. How’s that for easy?? Most cupcake toppers involve a fair amount of assembly. Cutting, often with a circle punch (and those are expensive!) and then glueing, taping and crying ensue. But not these guy’s. Can you guess what they’re made out of?? Oh here I go thinking I’m all sneaky and going to shock you guys when in fact, I already told you what they’re made out of in the freaking title. That’s right! Address labels my friends! The. Easiest. Assembly. Ever. i.e. no work for you! I absolutely adore bubblegum, yes even at this (adult) age! It’s always been one of my very favorite flavors! In fact, I usually still pick it for my toothpaste and fluoride flavors at the dentist (I did just two days ago!) that’s how much I like it! So I’ve been thinking of tons of fun bubble gum related party ideas that may or may not culminate in a full on gumball machine party! 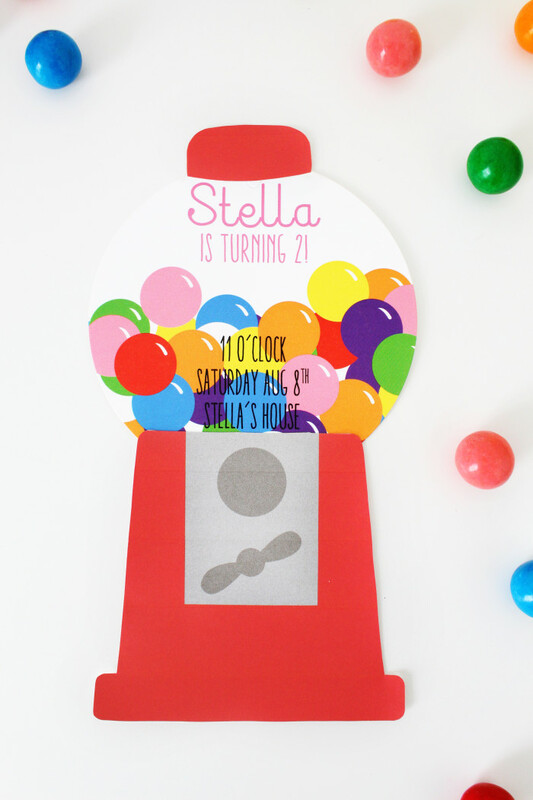 But first up, you’ve gotta start with cute invitations! 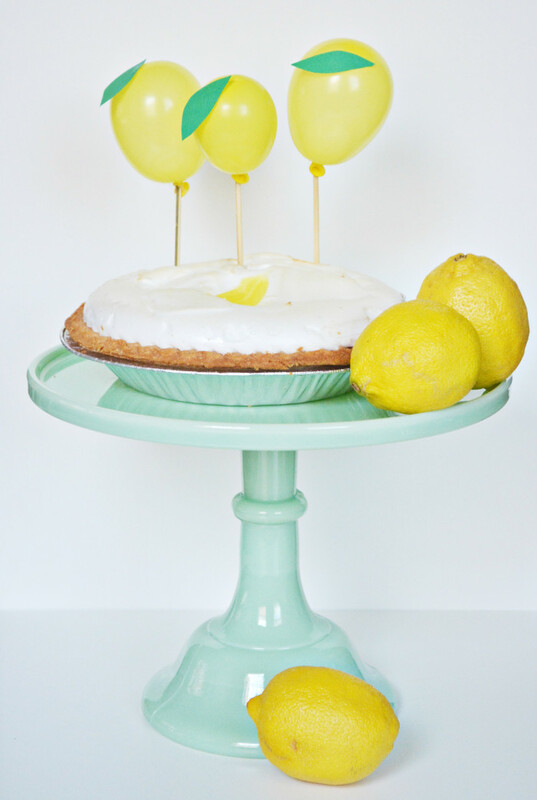 Happy National Lemonade day friends!! These days are amazing – there is one for everything. 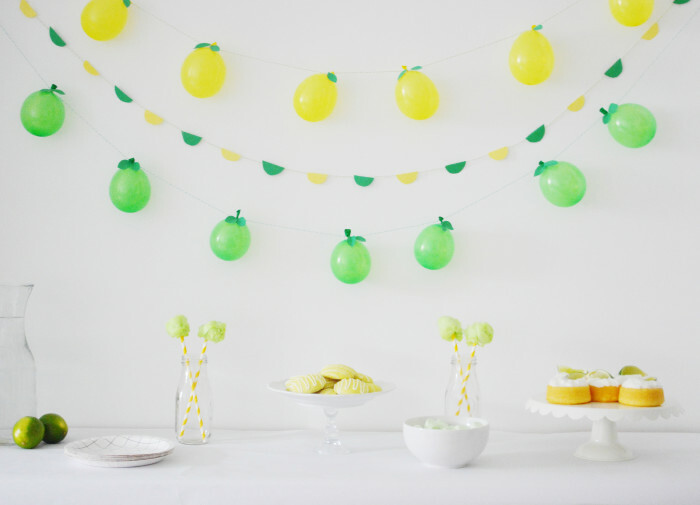 I wanted to do a bright fruit-themed party and of course thought of lemons and limes! 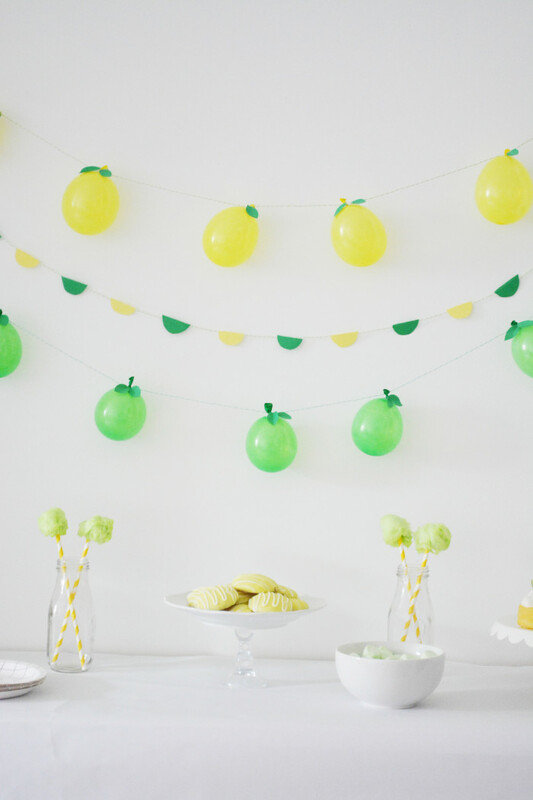 I decided to pair this with simple white and black decor for a fun modern fruit party. It is really simple and most the projects have already been shared. I think I will also make sure to buy a lemonade today because (gasp!) this party does not even feature any lemonade! Well there is sparkling/soda lemonade which sort of counts! These garlands can be found here. 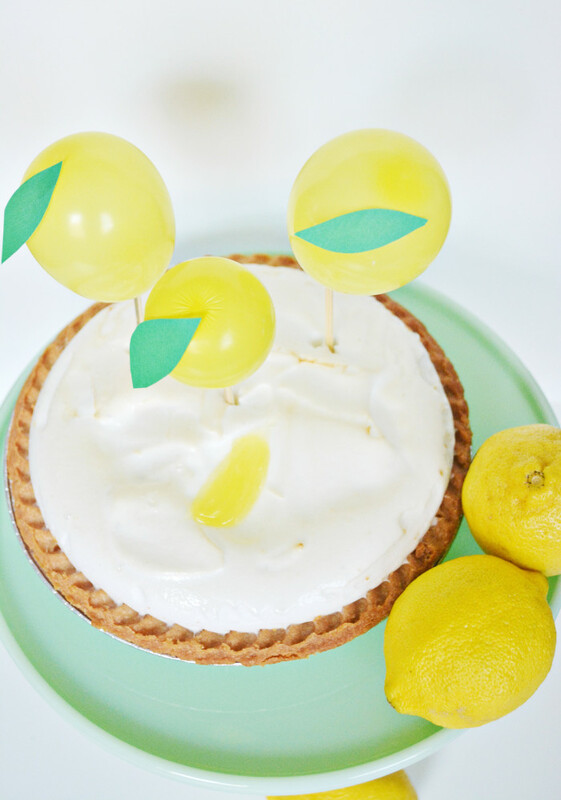 This was entirely unplanned but National Lemonade Day is tomorrow so all of these lemon-related party crafts ended up being the perfect way to ramp up to this fun national day! 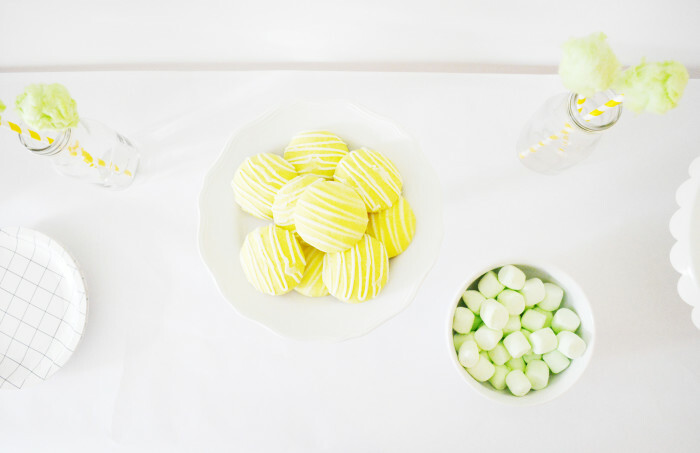 Here I am sharing another way to use the fruit balloon straws Machelle made! 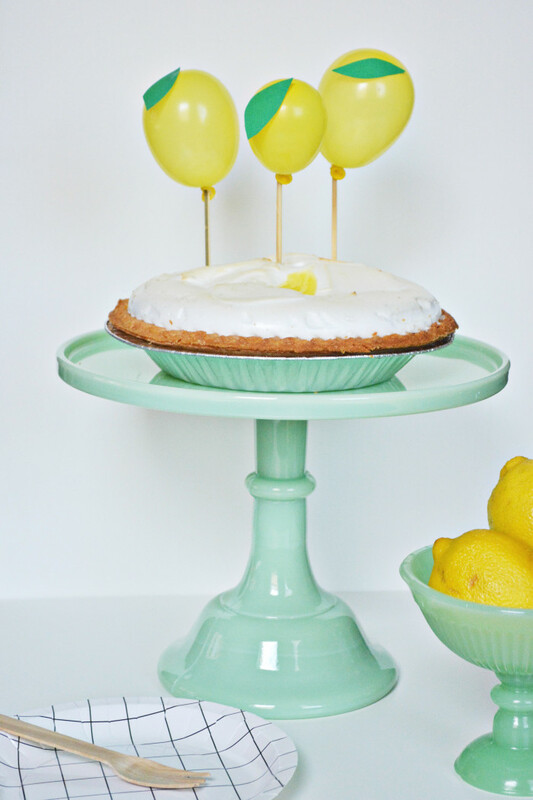 Just simply add them to wood towels and place them on cakes or pies! Of course I used lemon meringue pie for these since it just went so perfectly but I think next I will do all the fruits on individual cupcakes! 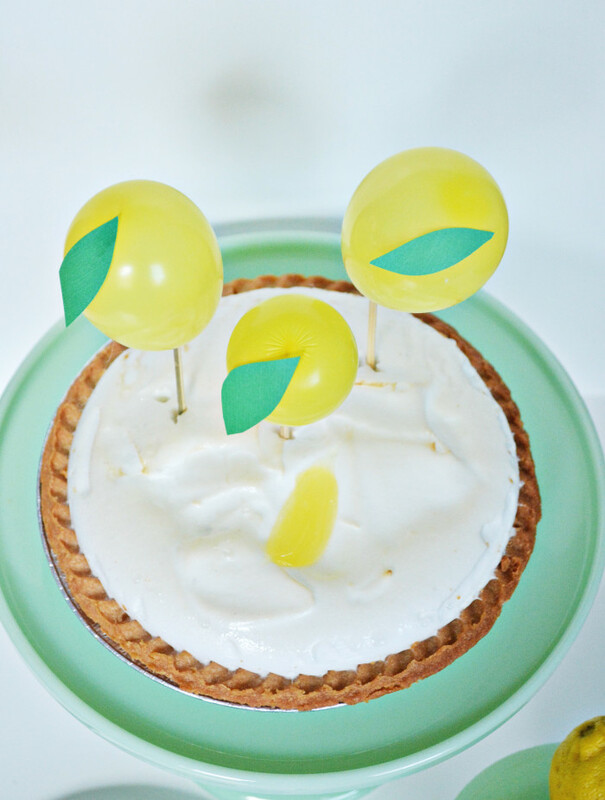 To make these dessert toppers, simply follow the instructions here! You can totally still use the straws or you can use wood dowels like I did here. Or lollipop sticks! The options are pretty endless – any other ideas? 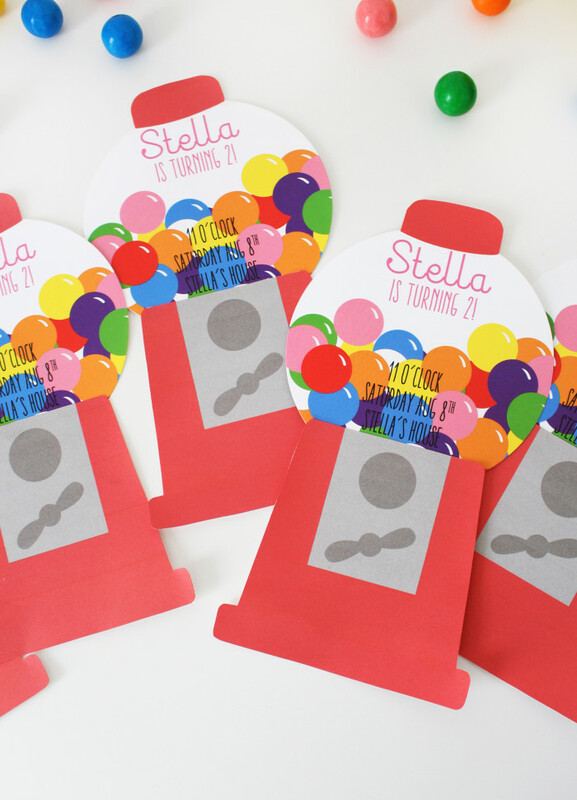 It was only a matter of time before we turned the fruity balloon straw concept into other party projects! 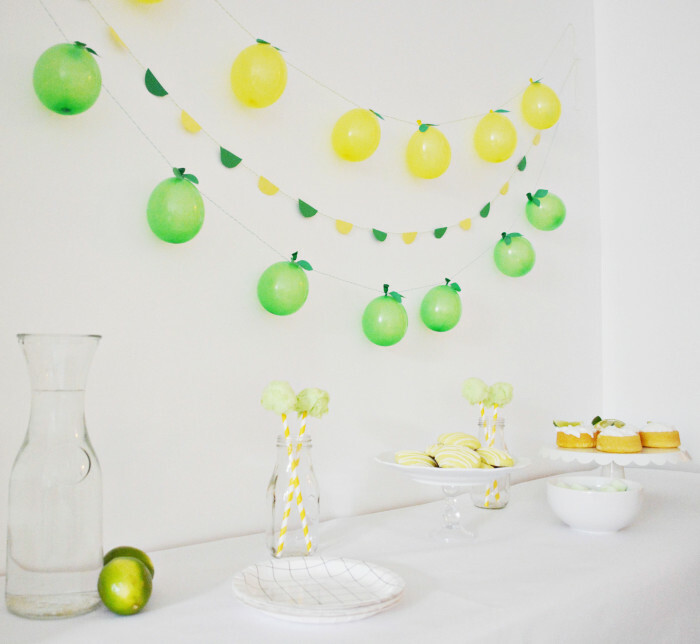 Turns out they make for perfect mini fruit garlands! 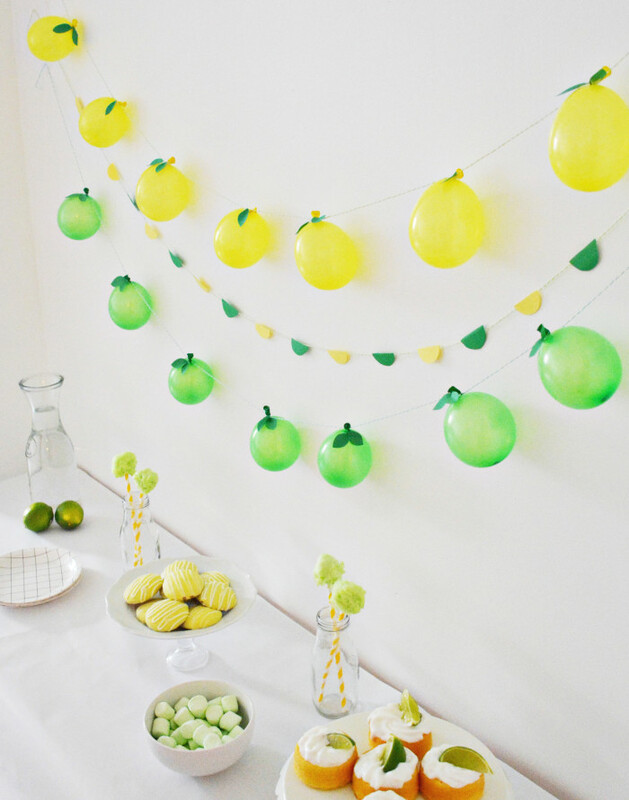 Looking at these now I wish I had done more balloons so the look was a little fuller but I still like these little lemons and limes!